I like a little drama in the typosphere. 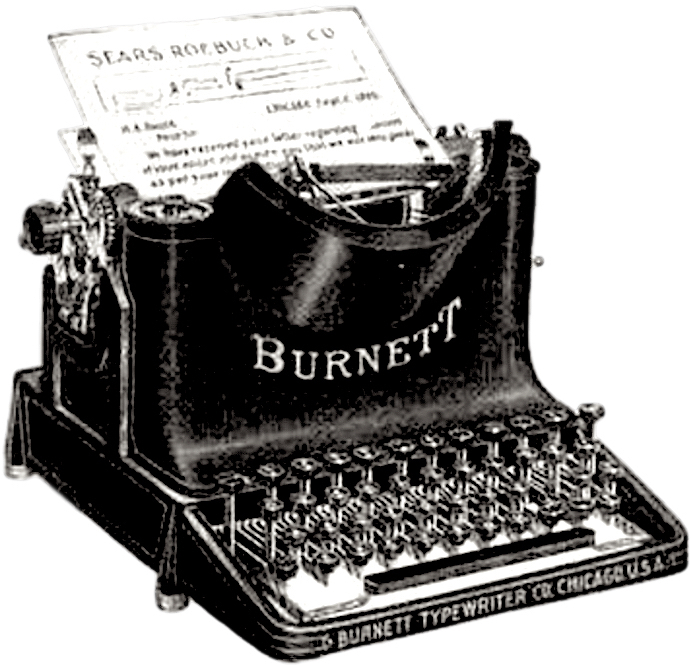 Earlier today, I posted an article about a Burnett that was up for auction at ShopGoodwill.com (see story here). Well, that machine fetched a whopping $7,251 (listing here). Could it have fetched more? 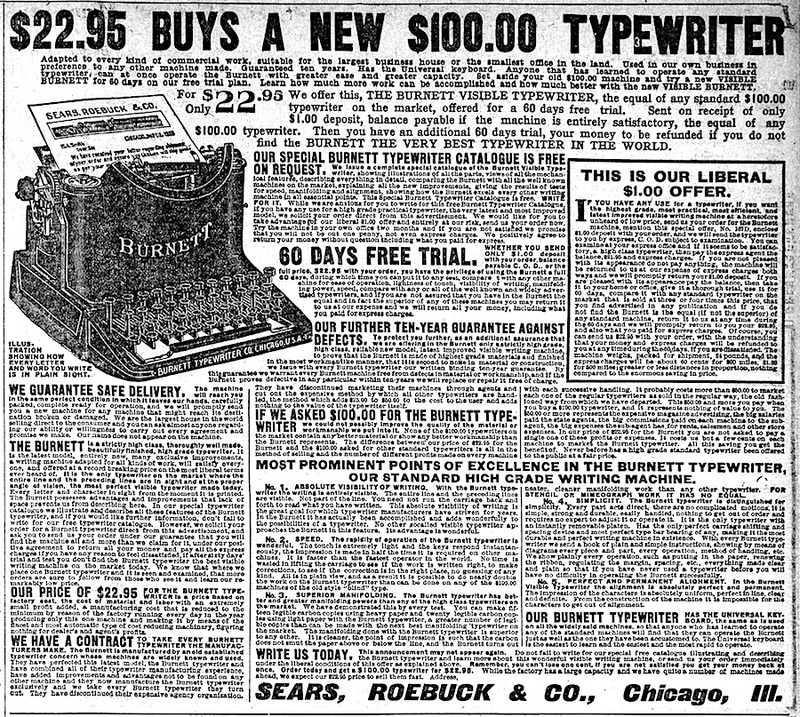 Some collectors have valued the Burnett at well over $10,000 — see Thomas Russo’s Mechanical Typewriters: Their History, Value, and Legacy. Interestingly, the Burnett only sold for $22.95 in its day! Rare machines do garner premium prices, and I don’t know any collector who’s got one. Tonight, someone is the proud owner of a Burnett. © 2016, Mark Adams. All rights reserved. I guess if someone has that much to spend on their CC for a typewriter they really want it. I know even if I had the cash or that much credit I doubt I would pay more than 1k for a rare machine. I have yet to pay much for a typewriter, but I do not have any rare ones. I just don’t see the value to me. I checked Russo’s book, and he valued the Burnett at $12,000. Wow! But, there are a lot of factors to consider: (1) it’s scarce, (2) it’s old, and (3) it’s an early effort for visible typing. Still, in the bidding for this machine, I was a spectator. Both of these Burnetts did have a scratch in the Burnett decal, but at different heights, so they are not the same machine. Yeah, I was wondering how it could have gone from eBay to ShopGoodwill. Wow, I would love to see that machine in person ! Loves very interesting.